Glenn’s RV Service is a locally owned and operated business offering high-quality RV parts and services to our clients throughout the Abbotsford area. Since our establishment in 1991, we’ve been making your long-distance travels a memorable experience. Whether your RV needs a small plumbing repair or a complete rebuild, you can count on us. Our skilled technicians thoroughly diagnose and suggest reliable solutions to the issues and help you to save valuable time and future repair costs. Glenn’s RV Service was started in 1991 when Glenn Peters decided to start his own mobile RV business serving the Lower Mainland and Fraser Valley. His love for RVs started earlier though when he worked for his Dad’s RV dealership in West Kelowna. Glenn is gas certified and a journeyman RV Technician. Reliable service with integrity and honesty is how it started and how it will continue to be with this family owned and operated business. With 28 years of experience now in a permanent location with service bays and a parts store, Glenn and his staff look forward to meeting and serving you! From changing a light bulb to a major rebuild, they can do it all to keep your RV adventure full of memories to last a lifetime. At Glenn’s RV Service, we no longer offer mobile services, we provide the services at our location. We have the extensive knowledge and hands-on experience working with all makes and models. Our experts aim at providing quality RV parts and repair services coupled with exceptional customer service. Why Choose Glenn’s RV Service? With over 35 years of experience, we’ve been providing comprehensive RV maintenance and repairs to our customers in Abbotsford and surrounding areas. 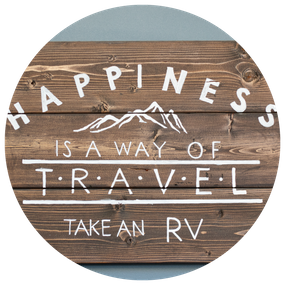 As a family-run business, we work closely with you to better understand your concerns and provide you with plenty of reliable solutions for your RV repairs. Glenn’s RV Service is a fully insured and licensed RV parts dealer offering top-notch parts based on your vehicle’s specific requirements. Call us to learn more about us.